Filled with impressive sightseeing spots, both natural and man-made, Aomori and Akita prefectures are perfect for anyone wanting to ‘get away from it all’. 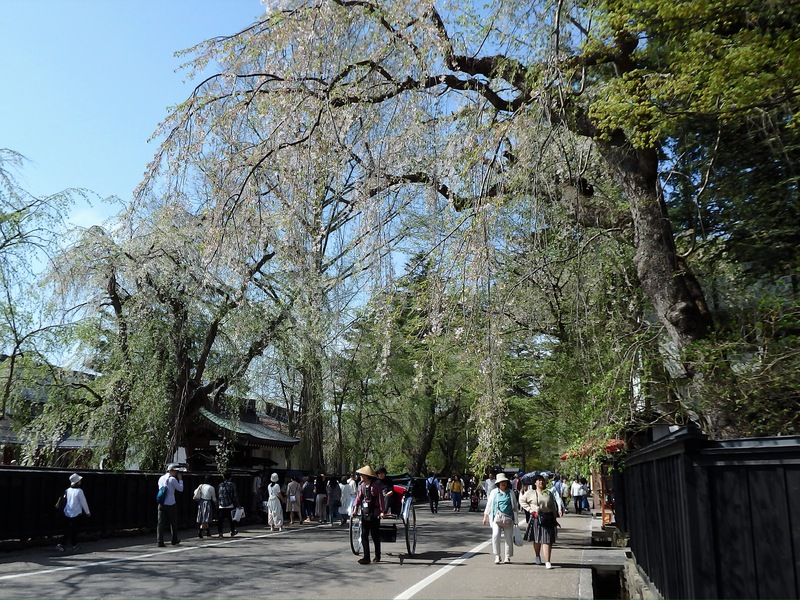 Even during Golden Week, crowds are minimal and cherry blossoms are often still in bloom. This is a recommended 4 day, 3 night trip that can easily be adapted or shortened. Travel in a circle to major historic sightseeing spots in the area, beginning and ending at Morioka Station. The Shinkansen from Tokyo Station to Morioka Station takes 2 hours and 15 minutes. Reserve a car in advance and it will be waiting for you upon arrival. All the major car rental companies are just outside the station. Head out Route 46 to Dakigaeri Keikoku (60km, 80 minutes). From a large parking lot, visitors can walk a mostly flat trail along the edge of this gorge to a lovely waterfall – approximately one hour, roundtrip. The trail passes a small shrine, crosses a couple of suspension bridges, and cuts through caves. Beautiful in all seasons, the view is best when bright red & orange autumn leaves contrast with the iridescent blue river below. 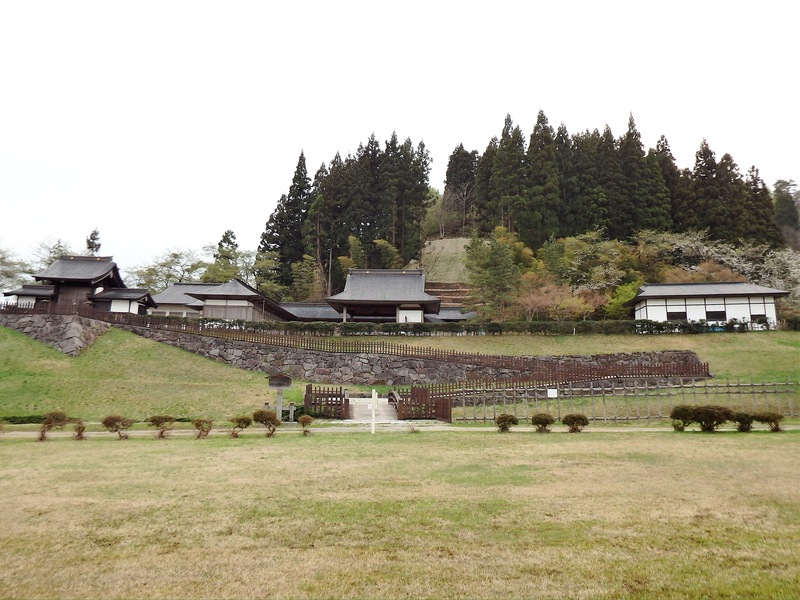 From the gorge it is only 9 kilometers to the famous samurai residence district of Kakunodate. Considered one of Japan’s ‘Little Kyoto’s’, take some time to explore the shops and museums lining the historic main street. 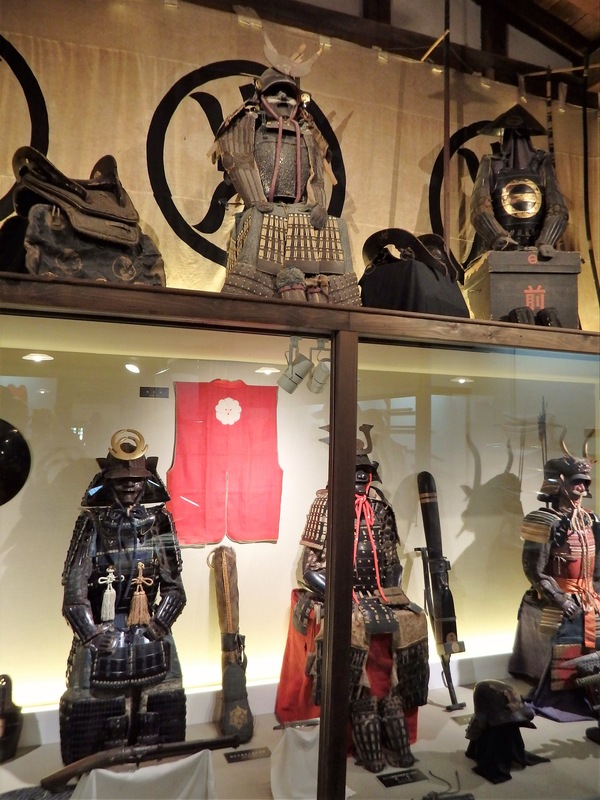 A ‘must see’ is the Aoyagi-kei, an impressive complex containing a samurai manor, museum, and more. 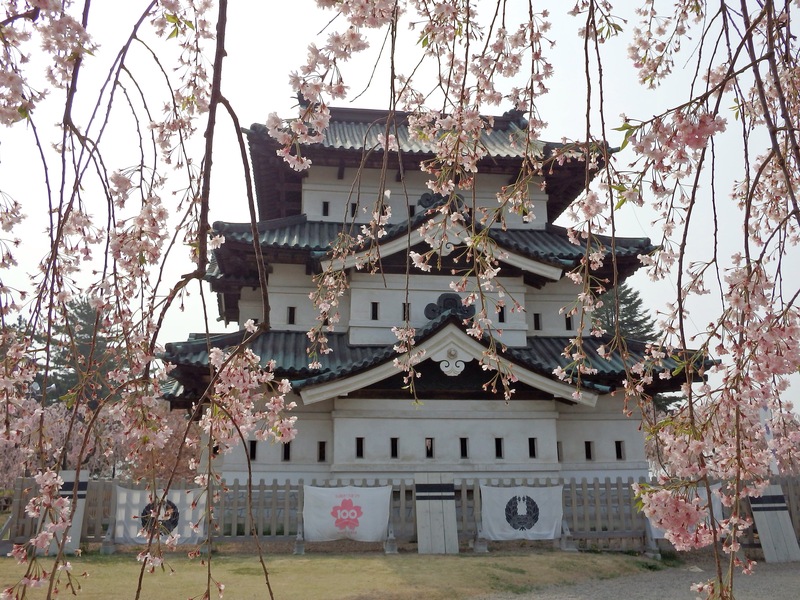 A cherry blossom festival takes place in Kakunodate from mid-April to early May. Somei Yoshino trees lining the Hinokinai River bloom earlier in the festival, weeping cherry trees bloom later. In 2018, it was warmer than usual and most the cherry trees bloomed early. In some areas, however, it was still ‘snowing’. This photo was taken on April 30. Continue on Route 46 for about an hour before stopping to see the Maharoba Noh Theater complex and Karamatsu Jinja. Designed with Kyoto’s Honganji Noh stage in mind, the theater holds regular performances. On days when nothing is scheduled, visitors can tour the theater and its stage. A museum of Noh masks, instruments, costumes, etc. is also on-site. Karamatsu Jinja is an unusual shrine that sits on an island covered with round stones. 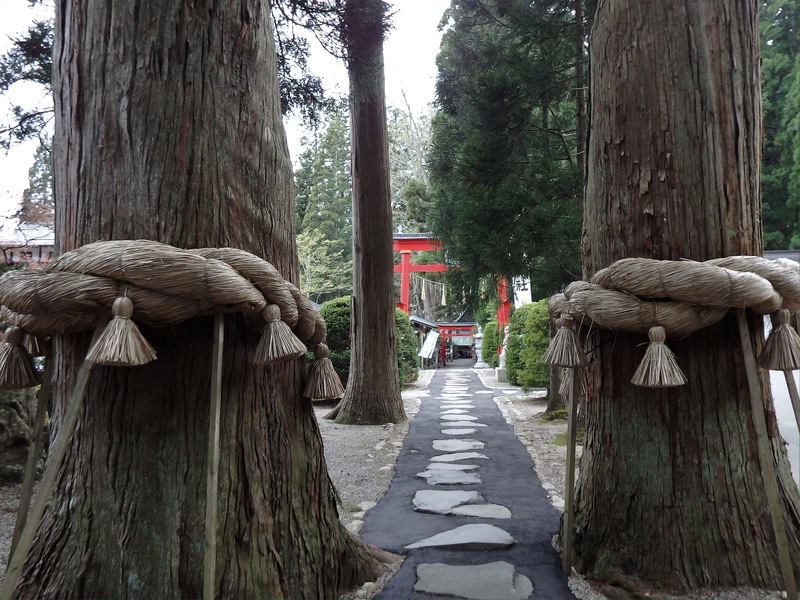 The path that leads to the shrine is lined with ancient giant cedar trees said to have been planted by the local lord in 1680. As home to a fertility god, couples from around Japan visit to pray for a safe childbirth. Choose nearby Syohoen for a traditional ryokan experience. 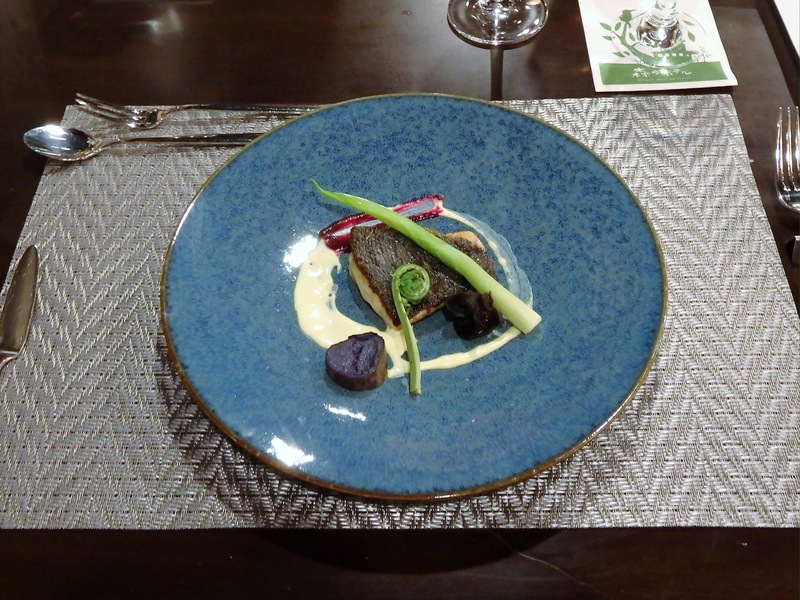 To enjoy dinner out, stay in central Akita City. For excellent budget accommodations, I recommend the Dormy Inn Akita. This chain of budget hotels is excellent – clean, comfortable, & reasonable with some built in ‘extras’ that make their locations even more appealing. This one has open-air hot spring baths, free ramen in the late evening, and it is directly across the street from the ruins of Kubota Castle. Just outside of central Akita City are two more upscale hot spring hotels – Akita Onsen Plaza and Akita Onsen Satomi. All of these accommodation choices are 20-40 minutes from Karamatsu Jinja. 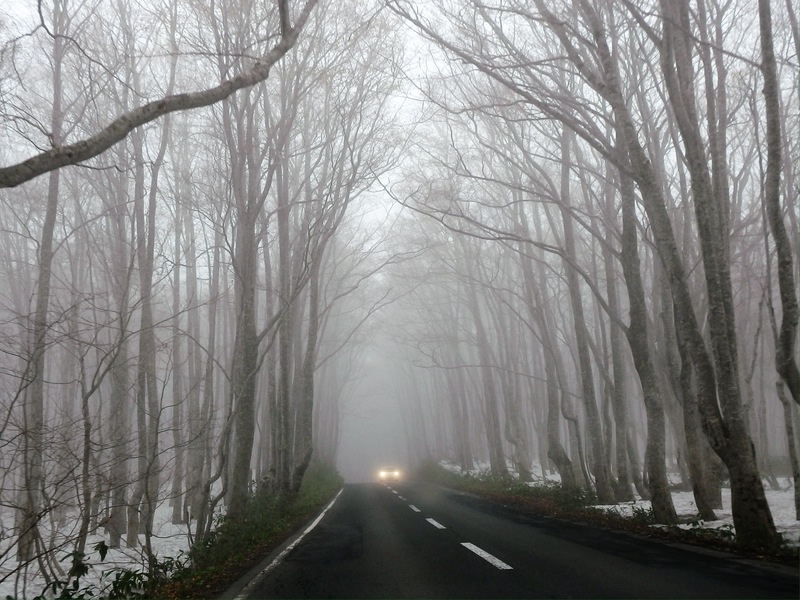 On Day Two, get up early and drive for 2 1/2 hours along the Akita & Tohoku Expressways to Hirosaki, a castle town that was once the capital of the Tsugaru Region. 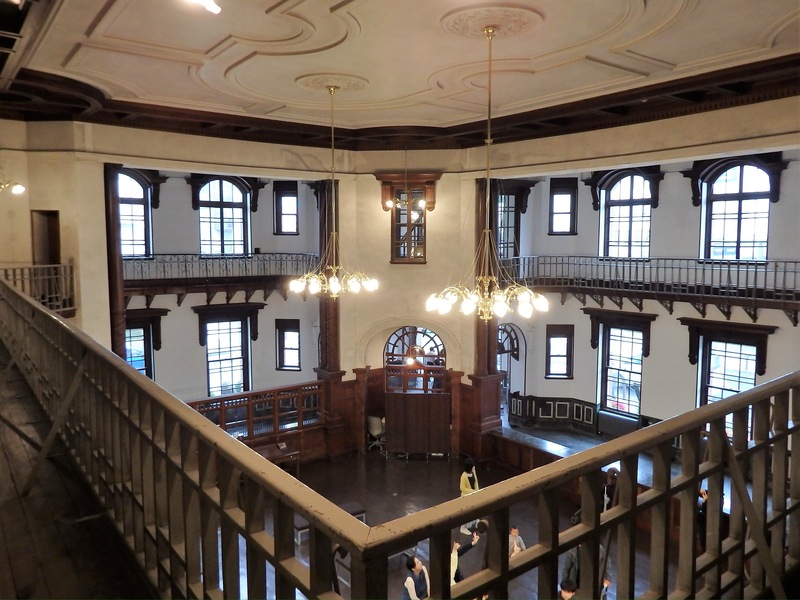 Start with a visit to the Sightseeing Information Center at Otemon Square and then tour the Meiji Era Western-style buildings there. 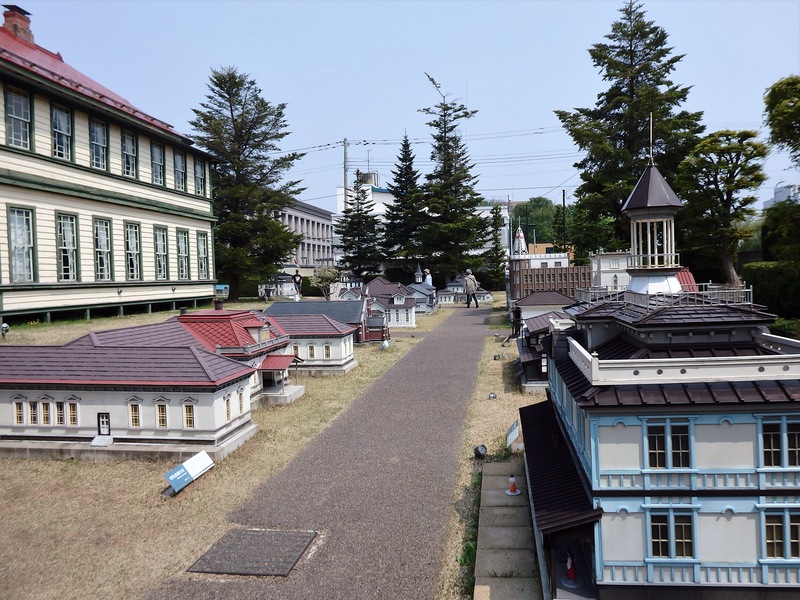 A ‘miniature garden’ contains dollhouse-sized copies of these two buildings and many others located around the city. 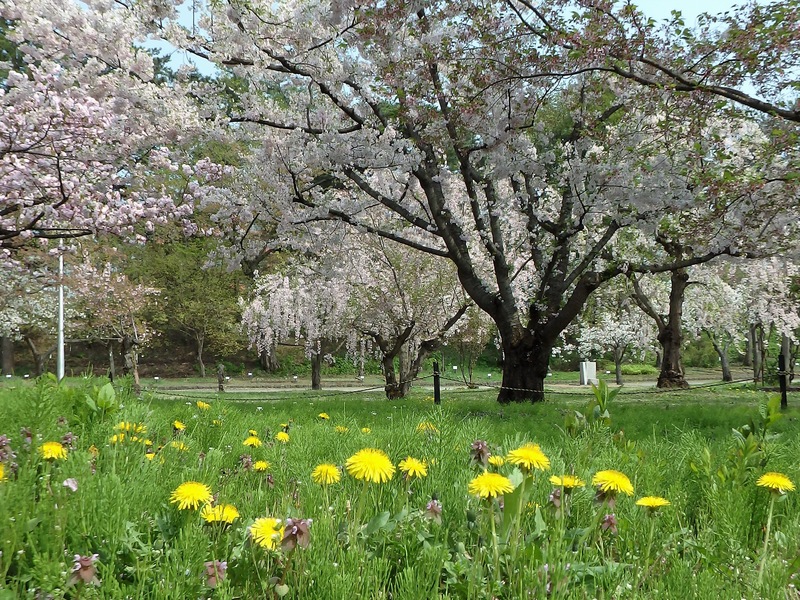 Hirosaki Park boasts one of the best cherry blossom festivals in Japan. Hundreds of food stalls, live entertainment, friendly locals, and best of all, lots of space. Many trees were still in bloom during Golden Week, including lovely weeping cherries beside the main keep of Hirosaki Castle and a variety of other cherry trees in the park’s botanical garden. 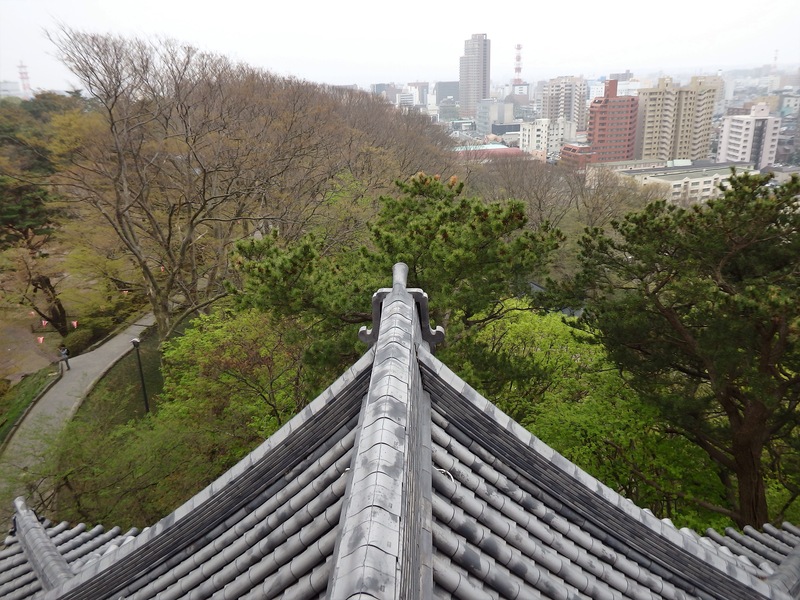 Just outside the park is a samurai district and the impressive Fujita Memorial Garden. 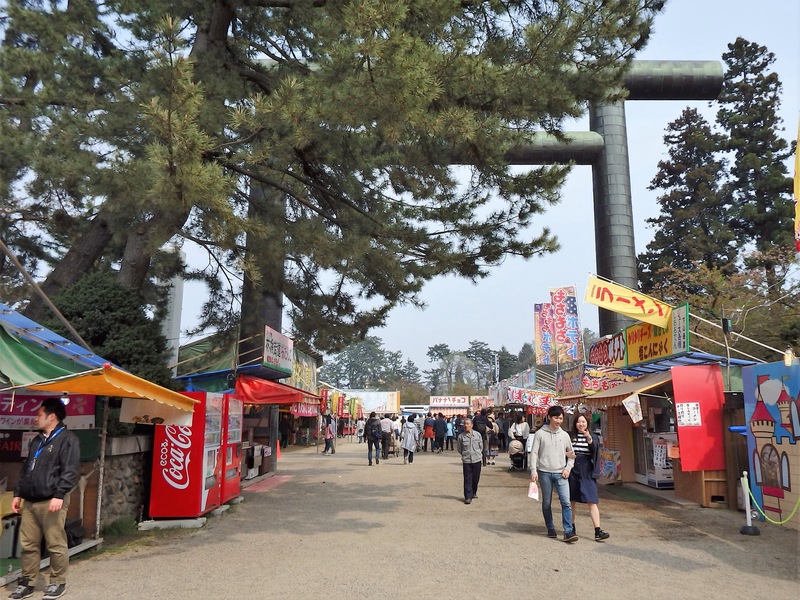 Make the Neputa-mura your final stop – to learn about Hirosaki’s famous Neputa Festival and to shop for local Tsugaru products. From Hirosaki, travel about an hour to oceanside Aomori City. 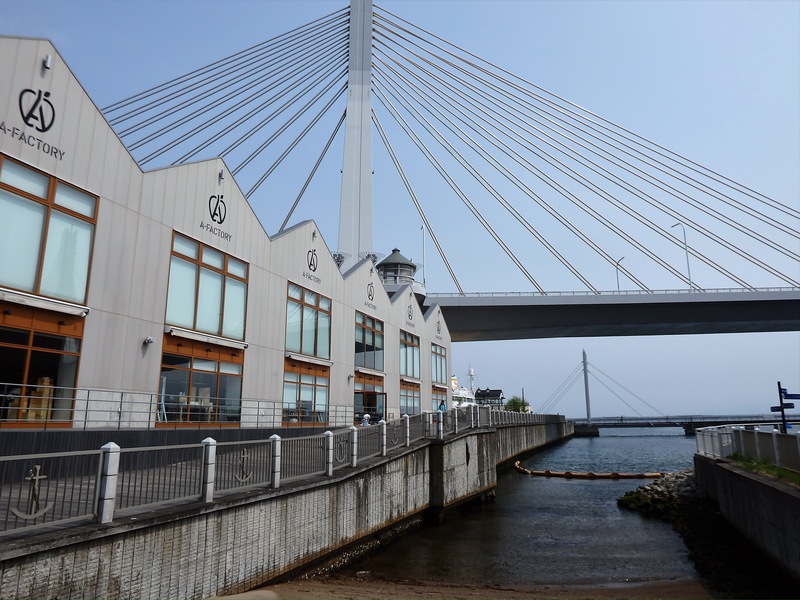 Stay as close as possible to Aomori Station as most of the city’s top sightseeing spots will be within walking distance. In the evening, sample a variety of alcoholic apple ciders on the 2nd floor of the A-Factory and/or eat dinner in this shopping complex filled with fantastic products from all areas of Aomori. 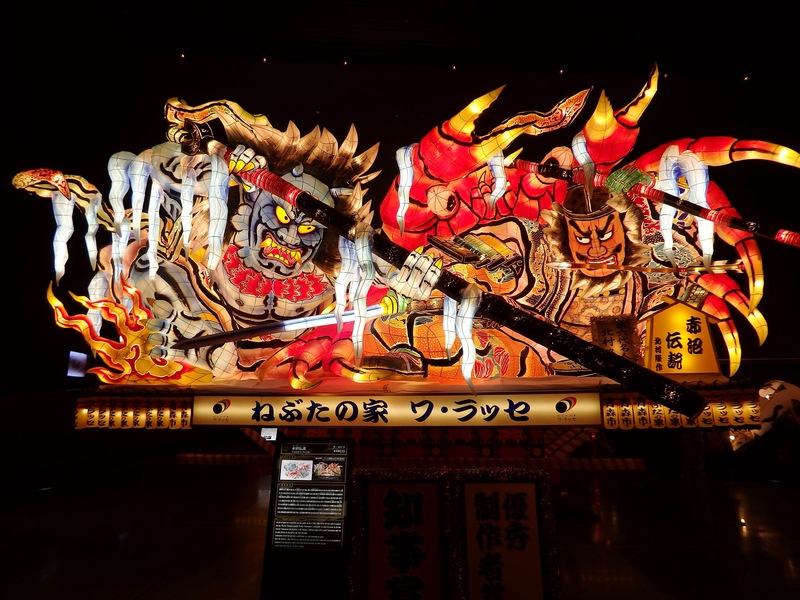 On Day Three, head straight to the Nebuta Museum Wa-rasse to view some of Aomori’s amazing festival floats made of washi paper and lit from within. If you have an interest, wander around the Hakkodamaru, a ferry to/from Hokkaido that has been retired from service. 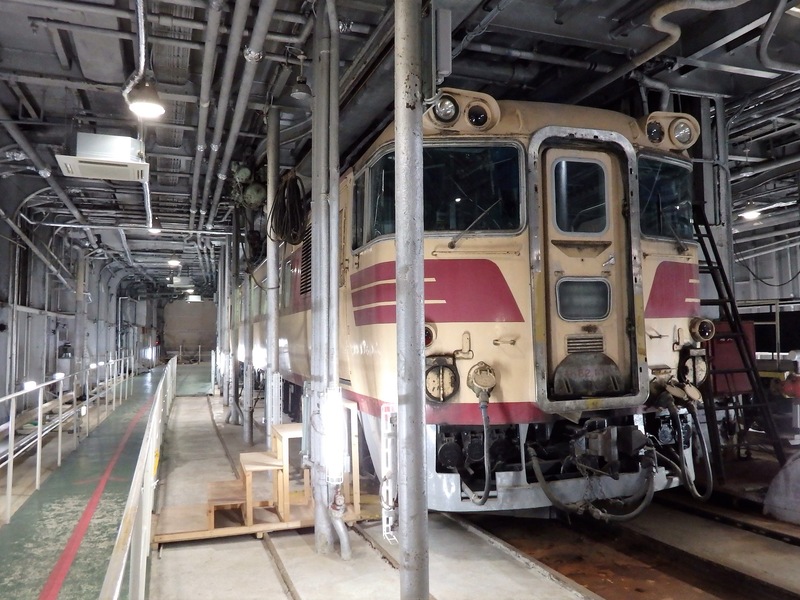 Especially interesting inside this ferry is the section where railway cars were parked for transport across the sea. 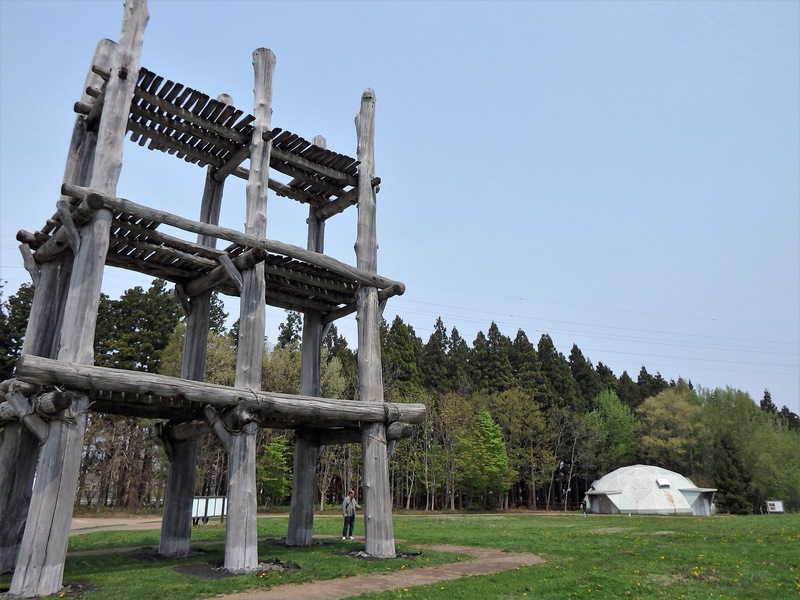 If you’d like to learn about prehistoric Japan, drive out to the Sannai-Maruyama Archeological Site. Only 15 minutes from Aomori Station, this is the most impressive facility I’ve ever seen regarding Japan’s Jomon Era. A huge settlement once existed on the site and many dwellings have been reconstructed to give an idea of how life may have been. Also consider a visit to the Aomori Museum of Art next door. 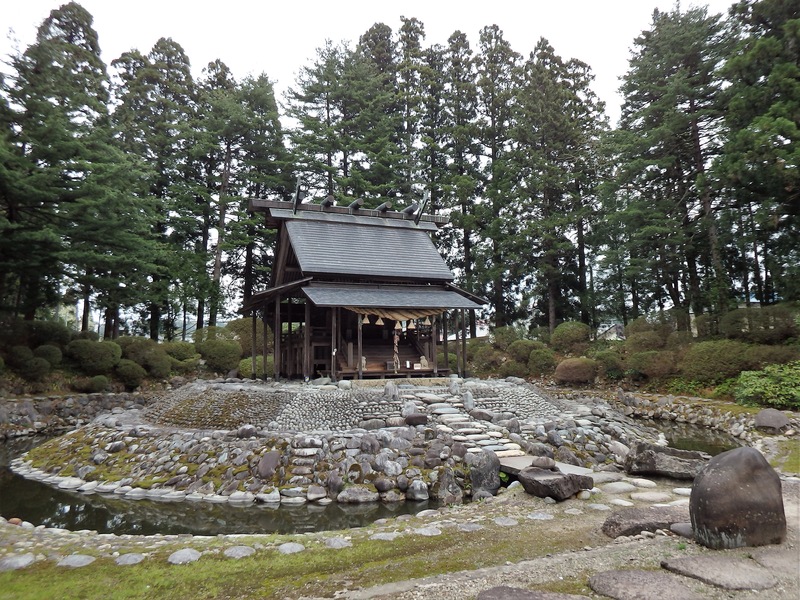 On your way out of Aomori City, make a brief stop at Seiryuji. 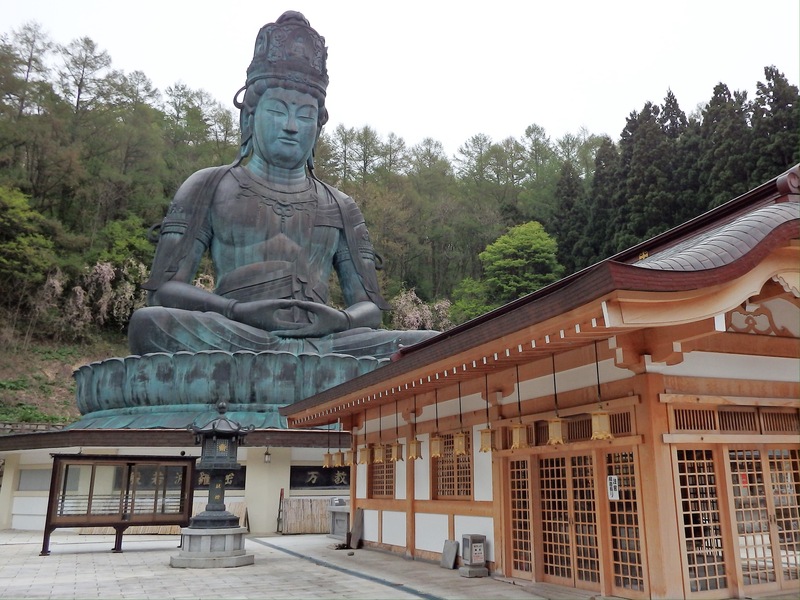 This ‘new’ (1982) temple is home to the tallest seated bronze Buddha in Japan. There is a lot more to see within the temple complex, including an impressive 5-story pagoda that sits beside a rock garden. Visitors can also go inside the Daibutsu to view prayer rooms and other Buddhist sculptures. 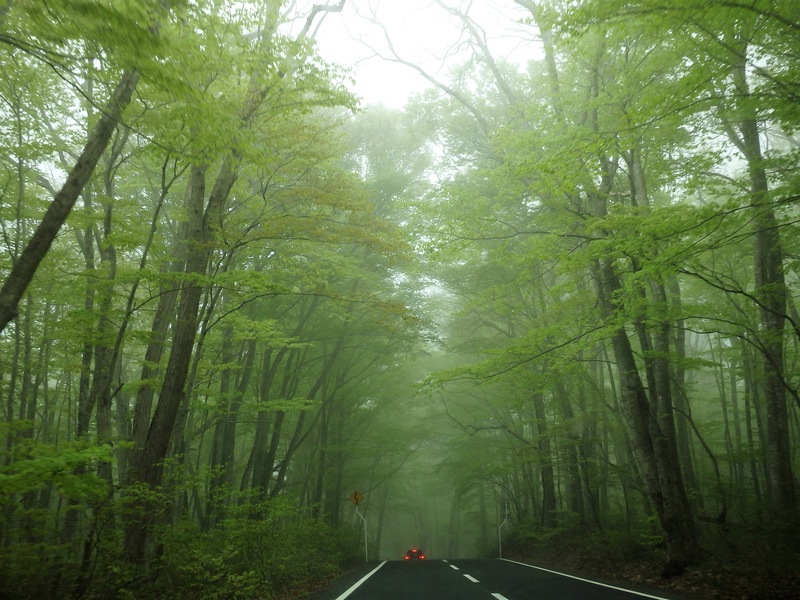 Continue your drive to Oirase, which sits very close to Lake Towada. 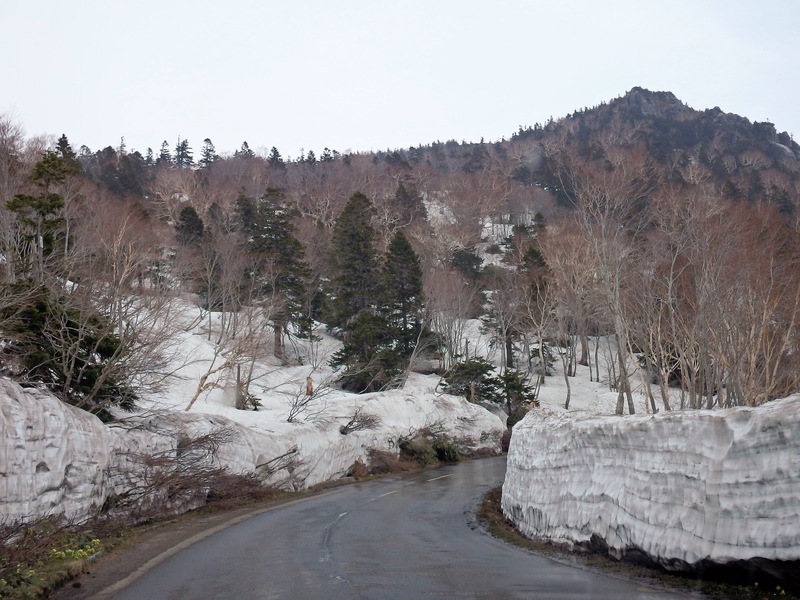 During Golden Week, on this drive, we traveled up into mountains still covered in deep snow, and back down to forests bathed in spring green. If possible, splurge on one of the hot spring resort hotels in the Towadako Onsen-kyo area. We stayed at the Hotel Oirase Forest which served us a delicious French course dinner with suprisingly reasonable bottles of wine that start from 2500 yen. There is also a famous Hoshino Resort nearby. On your final day, spend some time walking along the Oirase Mountain Stream, which runs through a gorgeous virgin forest filled with beech, white cedars, and maple trees. The walk is leisurely, passes many lovely waterfalls, and is stunningly beautiful. If you don’t want to walk back to your car, there are periodic buses running up and down the 14 kilometer stretch. Bicycle rental is also an option. The drive back to Morioka takes a little over two hours. Upon your return to Morioka, if you still have time, there are castle ruins, museums, and historic buildings that can be toured. Note: Although more work and planning is involved, it is possible to travel this route by mass transportation. Take the Shinkansen from Tokyo to Kakunodate. 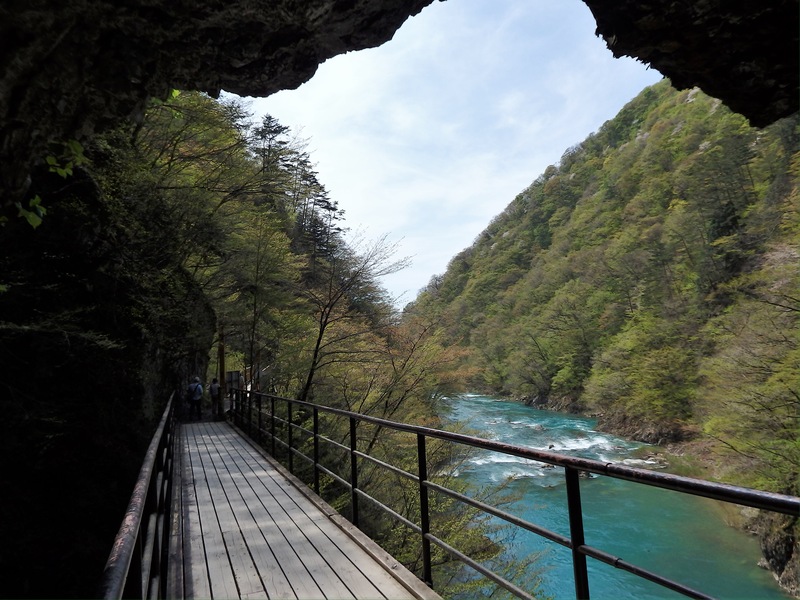 The Dakigaeri Gorge can be reached by taxi (or, during the fall festival, by free shuttle bus). There is a bus from Kakunodate to Karamatsu Jinja. From nearby, take a train to Akita Station. 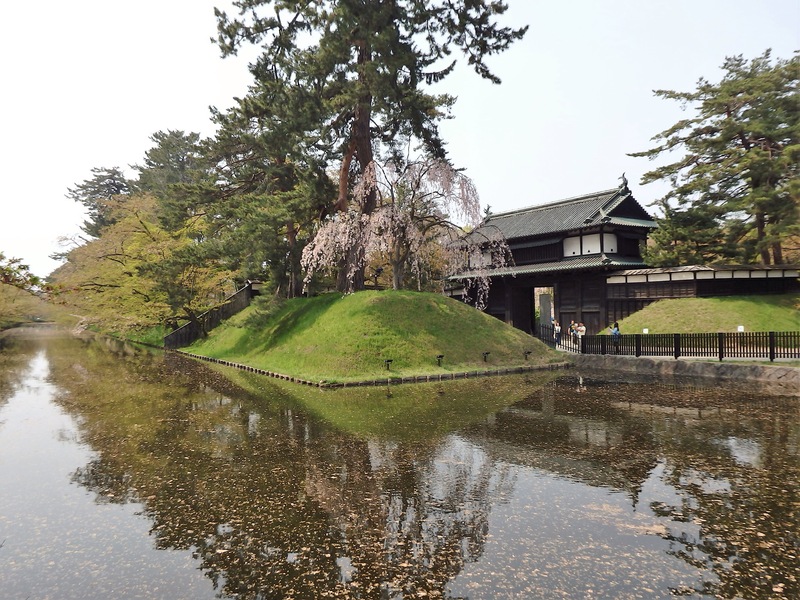 Travel from Akita to Hirosaki by train, and by bus or taxi to Hirosaki Park. From Hirosaki to Aomori travel by train, and by bus to reach the Sannai-Maruyama Site. There is bus service to Seiryuji, but it is very infrequent. It is, however, a 30 minute walk from tiny Koyanagi Station. 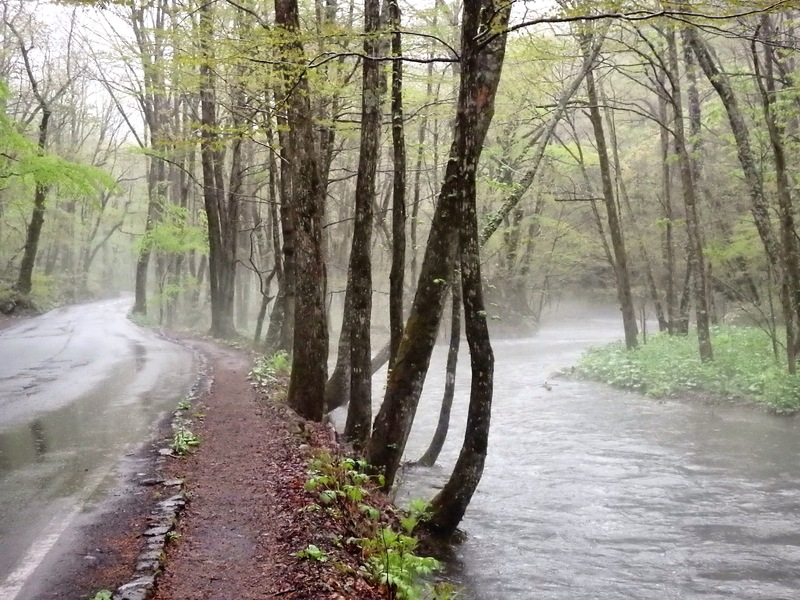 Buses run from Aomori Station to Towadako Onsen-kyo – where the Hoshino Resort and Hotel Oirase Forest are located. Buses also travel to Oirase and Lake Towada. From the lake, it is best to take a bus back to Aomori Station, and return to Tokyo by Shinkansen. If you do travel by mass transportation (especially if you do not speak Japanese), I strongly recommend having a Japanese person assist with obtaining bus schedules/routes in advance.